Now in its 10th generation, the 2018 Honda Accord gets a complete overhaul. 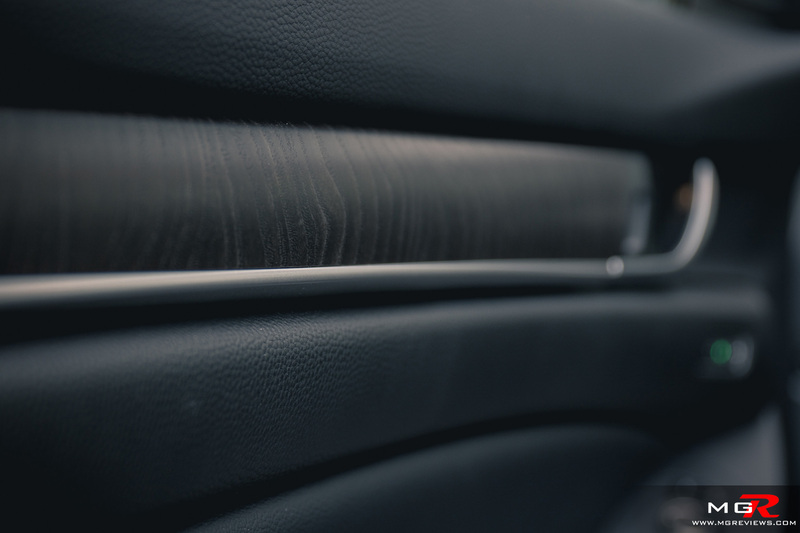 With the increasing popularity of crossovers and SUVs, auto manufacturers have to try harder and harder to make sedans more appealing to consumers. 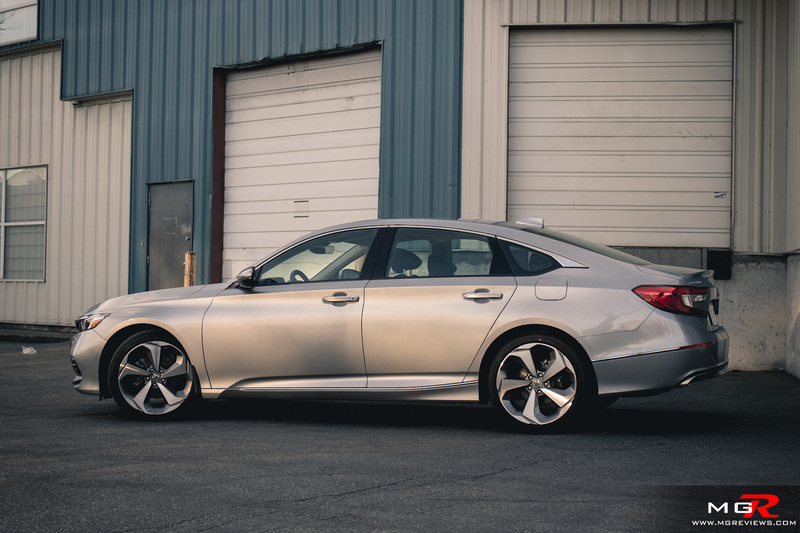 Honda pulled out all the stops to make sure that the Accord remains as the benchmark of full-size sedans. Engine – Gone is the thirsty V6 and in its place an efficient but powerful turbocharged 4 cylinder engine. All manufacturers are taking this route of downsizing for not only better fuel economy but also to reduce weight which helps with performance. The 2.0L engine in the Accord is very similar to the one found in the Civic Type-R but tuned for better street drivability rather than outright performance. It develops 252hp and 273 lb-ft of torque at a very low 1,500 to 4,000 rpms. Unlike on the Civic Type-R, there is almost no turbo lag, I wouldn’t say it has the responsiveness of the old V6, but whatever lag it does have is un-noticeable in normal day-to-day driving. 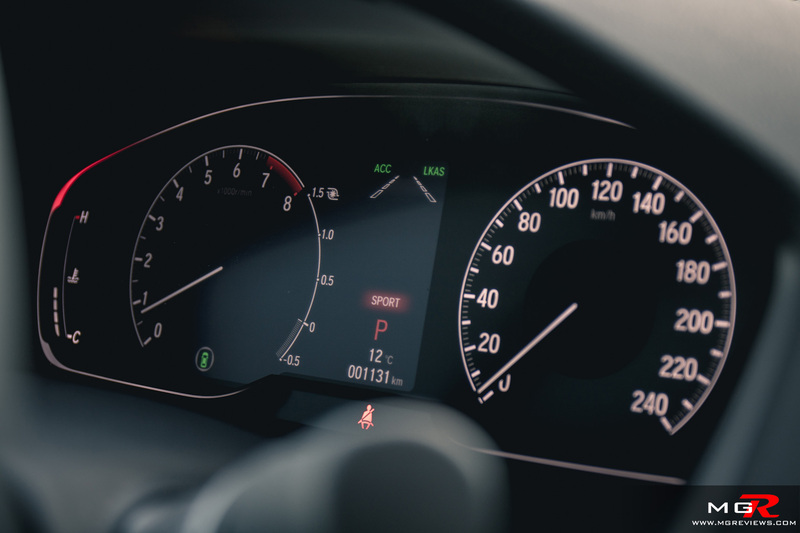 If you want a more spirited drive, there is a Sport mode (as there always is) and the Accord is on the top end in terms of speed when compared with the competition from Hyundai or Mazda. Transmission – With the new engine comes a new 10-speed automatic transmission. This new 10-speed transmission has some of the same characteristics as other 10-speed automatics in that it almost feels like a CVT because the engine rpms barely dip down when shifting to the next gear under normal driving. 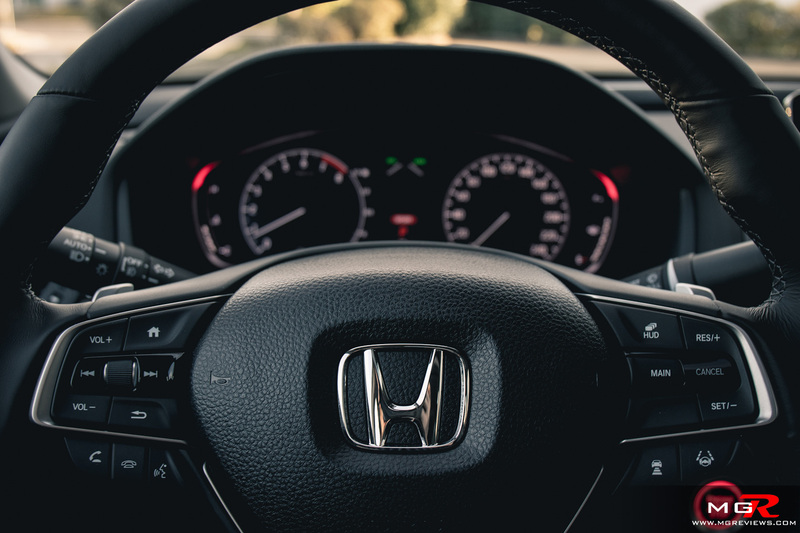 On cold start-up, the transmission doesn’t feel as jerky to shift as the old 6-speed automatic transmission that came in the older Accord and other Honda & Acura vehicles. 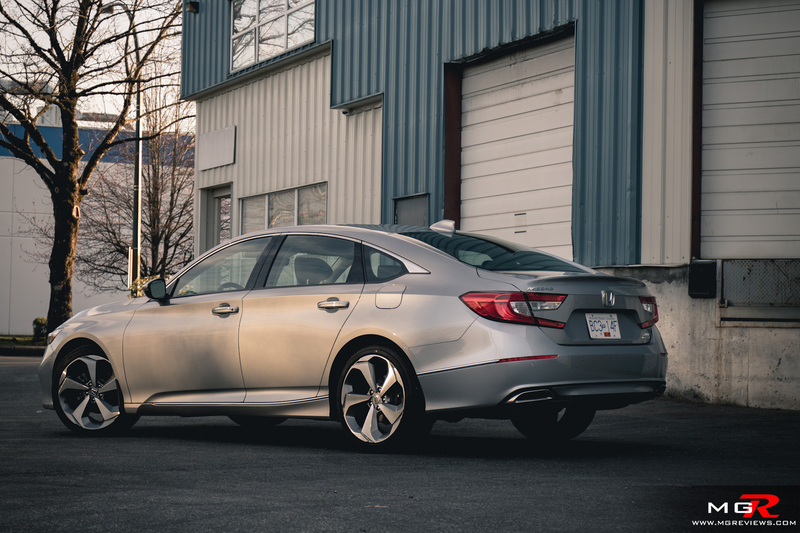 Braking – The brakes on the 2018 Honda Accord are very strong and for some, a little on the sensitive side. It has a very good initial bit when you first depress the brake pedal and it may be stronger than most Accord owners are use to. 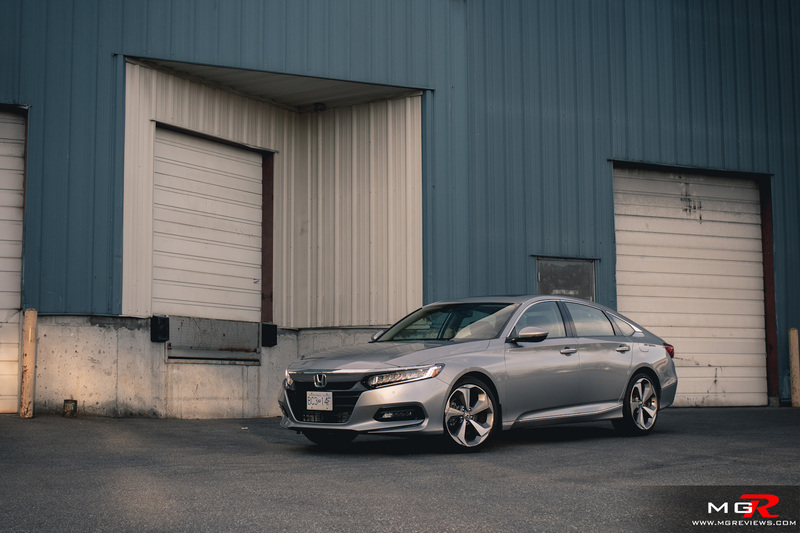 Handling – This Touring trim of the Honda Accord comes with adaptive suspension which firms up when it’s in Sport mode. It does affect the ride comfort of the car but the reward is a stable and planted feeling driving experience. It’s not a super sports sedan by any means but for a daily driver type of vehicle, it can bring out the inner 9 year old in all of us. 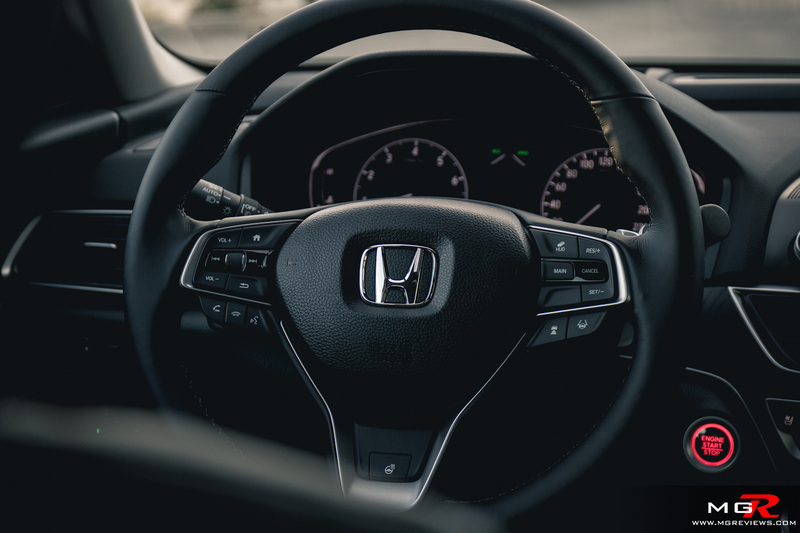 Like many other vehicles on the market, the Honda Accord uses electro-assisted power steering which is precise but doesn’t have a lot of feedback to the driver. In a way it’s good because this car is not meant to be a sports car and it won’t make you tired by having a heavy steering feel. 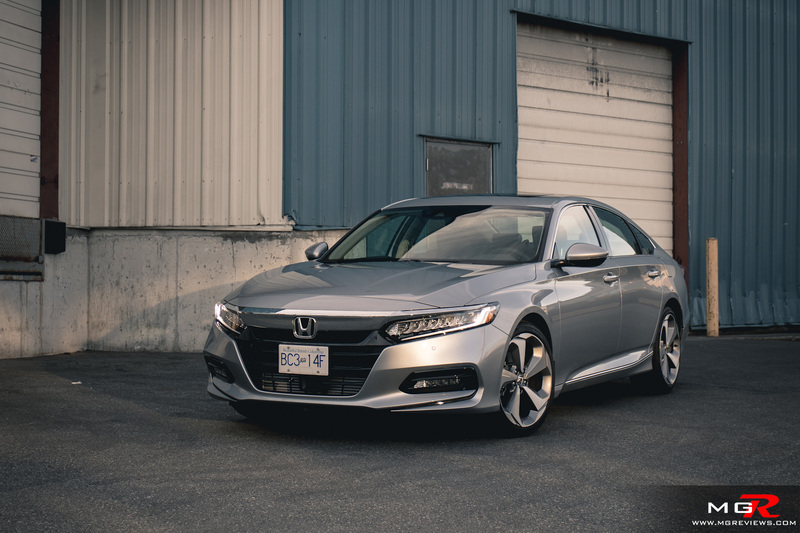 Ride Comfort – So long as the adaptive suspension is in the normal mode and not in Sport mode, the Honda Accord is a comfortable day-to-day sedan. In Sport mode the suspension is a bit on the harsh side especially over uneven and cracked city roads. 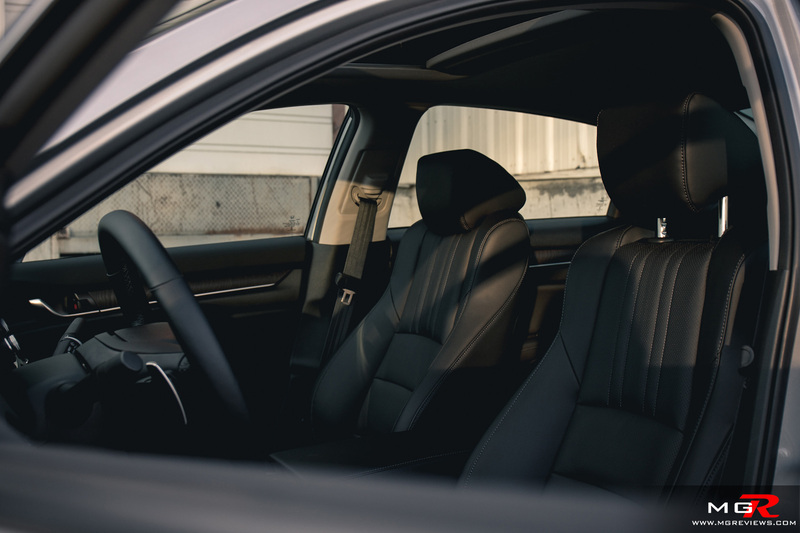 The seats of the Accord are superb. They provide good support with a lot of adjustability but they could use with just a bit more padding. Noise, Vibration, & Harshness – Road and wind noise is kept to a minimum. Around town one can mistake the Accord for being a luxury vehicle because of how quiet it is. Of course at higher speeds on a highway there is a bit more wind and road noise intruding into the cabin but for a mainstream vehicle, the noise is very acceptable. 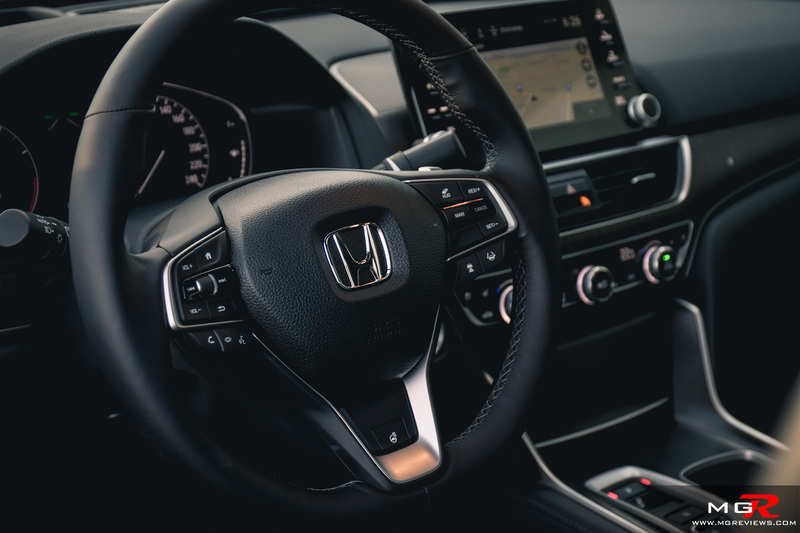 Interior Design – The Honda Accord’s interior design is on the conservative side as it has physical buttons for the climate control, buttons all over the steering wheel, and a touchscreen for controlling the infotainment system and some aspects of the car. 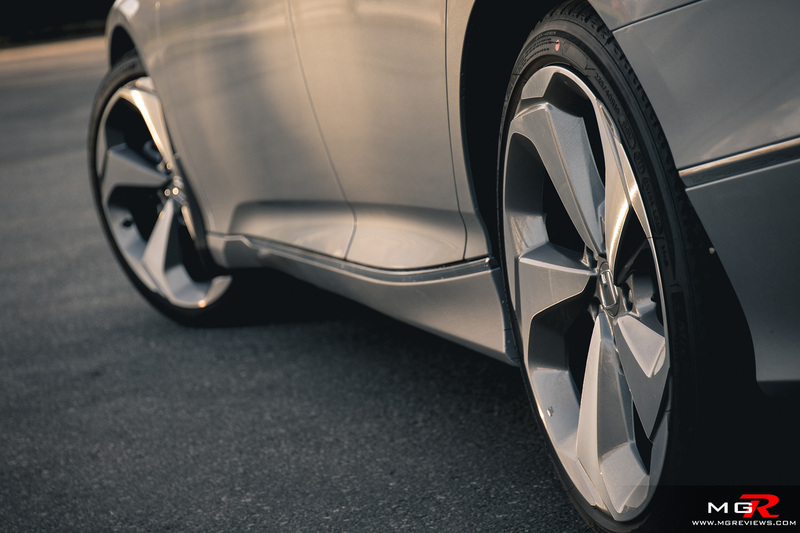 The materials used on the Accord feel top notch. 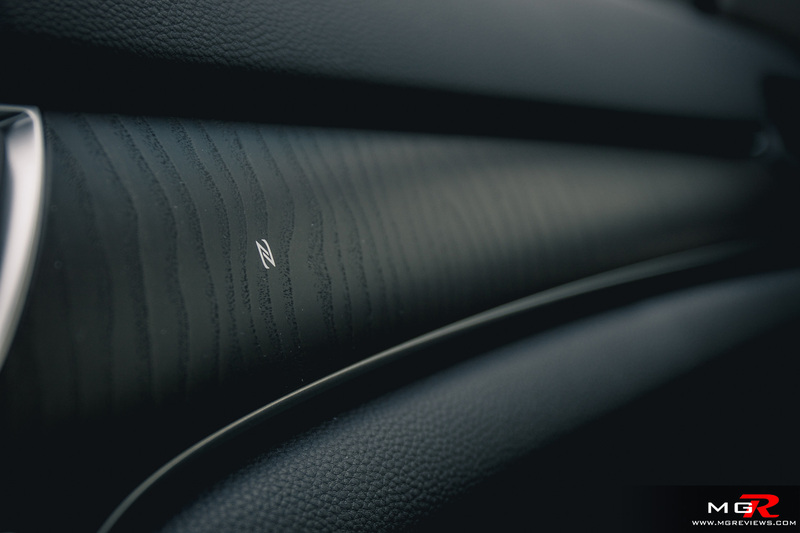 Leather and soft touch materials are used throughout the cabin of the car and it gives it the feel of a more luxurious and expensive product. 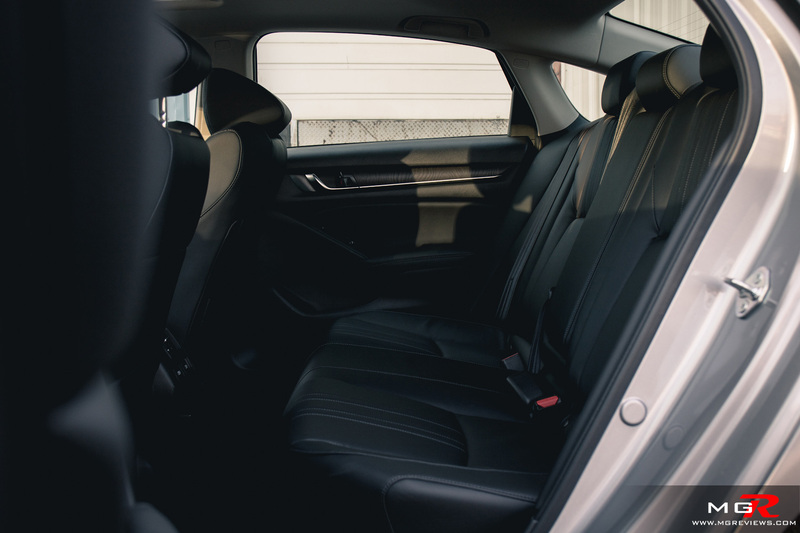 Gadgets – Like many other modern Honda vehicles, the Accord is packed with the same safety and convenience technology. 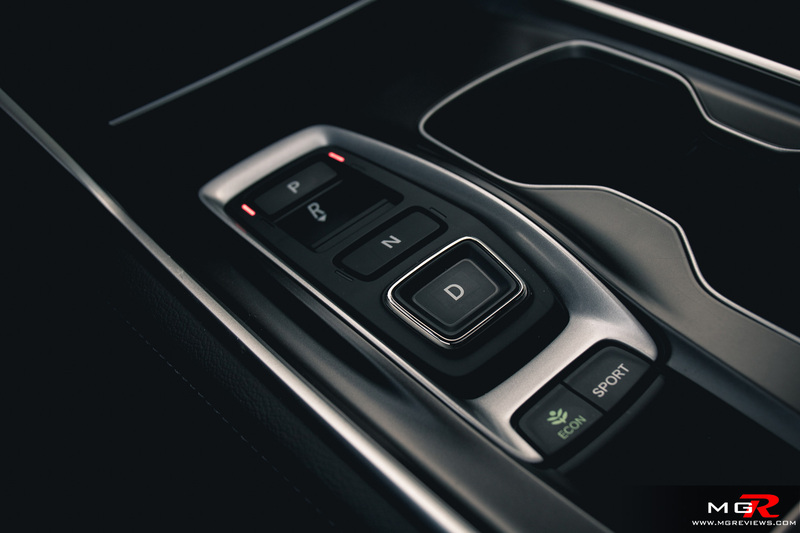 Things like the lane keeping assist, blind spot monitor, adaptive cruise control, and emergency automatic braking are available on one trim or another on the Accord. However for some reason, Honda has not made a 360 vision camera system for the Accord. 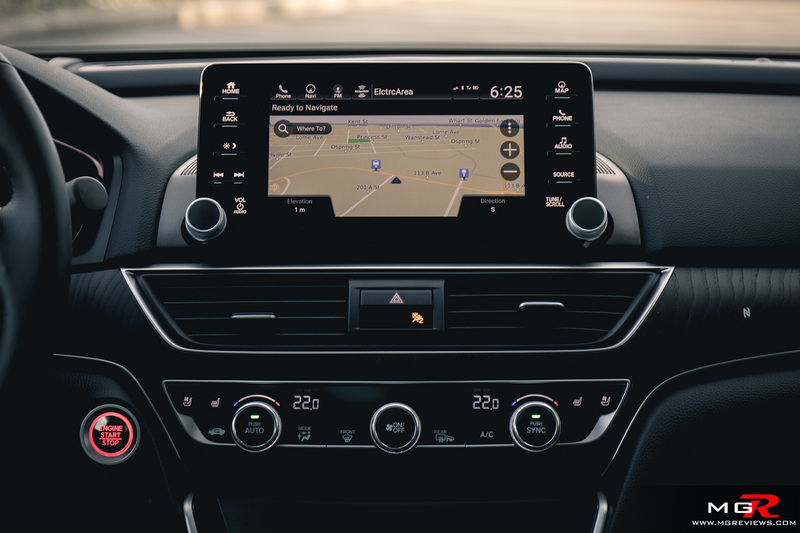 The Infotainment system received a huge update and is much better to use and also look at than the previous generation. Other automotive journalists have said that the new system crashes once in a while but I never experienced and issues with it during my week with the Accord. And yes, there is a volume knob for the audio. Exterior Design – The Honda Accord has shed its traditional sedan styling in favor of a more fastback shape. The rear window and roofline flow into the trunk for that fastback design. The rear tail lights have the new “crab claw” design that many other Honda vehicles are starting to adopt but the front seems a little flat nosed in my opinion. It somewhat looks like it was already crash tested into a wall and the designers just left it like that. 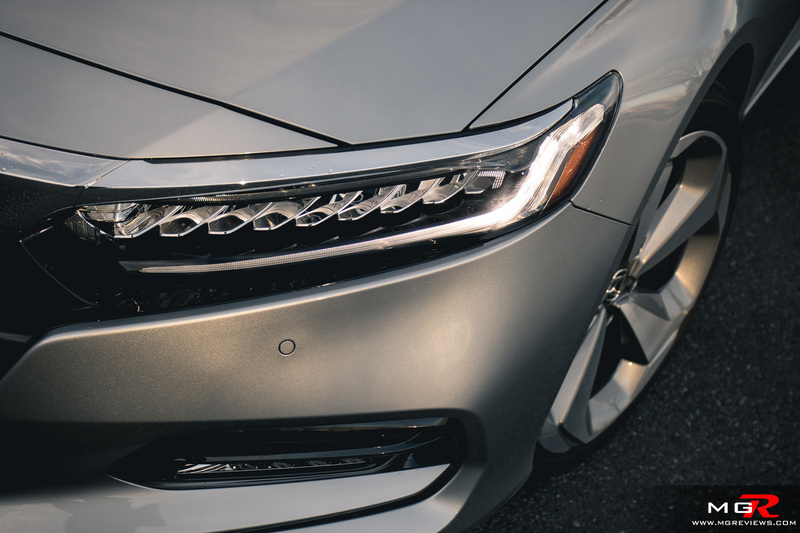 Overall though the new exterior design of the Honda Accord looks fresh and thankfully when driving the car, you don’t have to look at that front end. The 10th generation Accord will most likely be a big hit for Honda just like all other Accords before it. While more and more people choose to purchase SUVs over sedans, there will still be a market for a good quality and reliable family sedan.